The NFL just makes you want to facepalm. You would think that the league would be dying to repair its image because of the anthem-kneelers but they clearly don’t have any desire to do that. Now the NFL just made another anti-American move just before the Super Bowl. Led by Colin Kaepernick, the NFL has become politically divisive. Kaepernick hasn’t played a snap in over a year but that doesn’t mean his legacy didn’t carry on. Players kneeling for the National Anthem became a league-wide problem in this last season. This caused a massive boycott against this anti-American league. And they did nothing to prevent rapidly declining ratings. A Veterans’ group created an advertisement for the Super Bowl pleading with these players to stand for the anthem. And it won’t be broadcast because Commissioner Roger Goodell thinks it’s too political. But isn’t being “political” what they’ve been doing all season long already? An obvious reference to the national anthem protests which became pervasive throughout the NFL in 2017. The group intended for the hashtag to serve as encouragement for all Americans to show respect for military veterans by standing for, and respecting the national anthem. However, the NFL saw the ad differently. 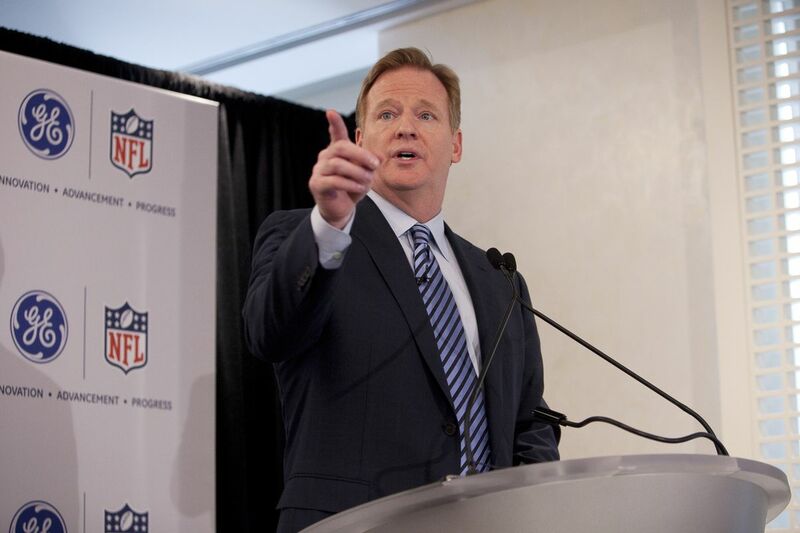 On Tuesday, during an appearance on ESPN Radio, NFL Commissioner Roger Goodell doubled-down on the NFL’s decision by re-affirming the league’s stance that the AMVETS ad was political. Then Goodell joined ESPN’sGolic and Wingo to express the same sentiment as well. “The incredible thing for me was it certainly opened my eyes, the ownership’s eyes to things that are happening in our own communities that our players felt needed to be addressed that they are not only articulate about it, they fully understand it. They are engaged. They’ve done a tremendous amount of work. And they believe we can make our communities better by working together. The anti-American NFL has become so tone-deaf that it’s almost laughable at this point.